What Are Boutique Cruises & Which Lines Reign Supreme? 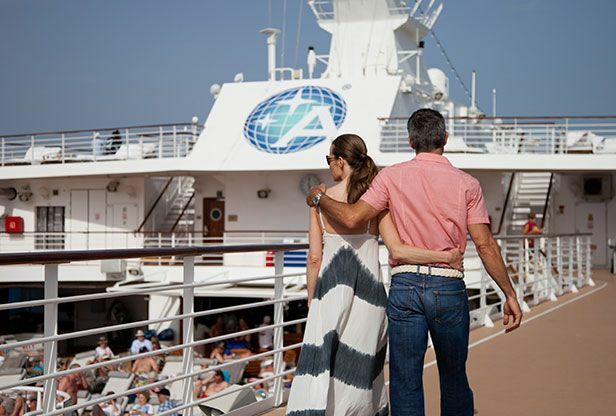 You are at:Home»Cruise Holidays»Luxury Cruises»Boutique Cruises: What Are They & Which Lines Reign Supreme? Boutique Cruises: What Are They & Which Lines Reign Supreme? While some travellers prefer the large scale luxury of floating resorts with 2000+ passenger capacity, others favour a smaller, more intimate cruising experience. Boutique cruise liners have undergone a surge in popularity over the last few years as travellers begin to place more value on personalised service and a bespoke hotel style feel. Defined by meticulous attention to detail, customised interior design, unique itineraries and perceptive service, boutique lines offer passengers a cruising experience that their large scale counterparts simply cannot deliver. Prominent cruise magazine Cruise International has just released its handpicked selection of nominees that will be going head to head for the publication’s Best Boutique Cruise Line award. Read on for an overview of which lines have been nominated and the exclusive at-sea experiences they offer. Despite its large scale ships, Celebrity’s exceptional standard of service has won it status as a premier boutique line. The spacious accommodation options give all 11 of its vessels a wonderfully luxurious feel while the Suite Class private restaurant and VIP lounge attract travellers on the search for a first class getaway. On-board experiences are unrivalled, with guests able to take advantage of a huge range of services. AquaSpa offers passengers a range of exotic treatments and the Persian Garden is the perfect place to indulge in a little pampering. Professional architects and designers have created stunning ships featuring resort style pools, outdoor lawn clubs and state-of-the-art entertainment venues. With five vessels ranging from 684 to 1258 passenger capacity, Oceania’s fleet falls nicely into the mid-sized boutique liner range. With polished mahogany fittings, rich textiles, premium furnishings and original artwork, on-board aesthetics are suitably luxe. Canyon Ranch spas offer passengers unsurpassed at-sea indulgence while the top-notch dining options never fail to impress. With two ships capable of carrying 686 passengers, Azamara is able to offer its guests a sublime level of on-board service. The mid-sized vessels are small enough to create an intimate at-sea experience yet large enough to ensure that passengers never run out of things to do. The smaller size of the vessels allows the line to service exotic destinations that large ships simply cannot reach, from the heart of Bangkok to the centre of Bordeaux. Longer port calls and overnight stays are also given preference, making Azamara an ideal choice for those wanting to explore exciting destinations and soak up new cultures. The line prides itself on its exceptional dining options, with four gourmet open seating restaurants located on each ship. Round the clock attentive service is the icing on the cake for this award winning line! With its intuitive service, modern amenities, gourmet dining venues and all inclusive extras, Seabourn leads the way in contemporary boutique cruising. Suite cabins are issued as standard and come equipped with designer toiletries, flat screen TVs, Bose sound systems and a complimentary welcome bottle of champagne. The ultra-luxurious fleet of three vessels carry just 450 passengers and are capable of cruising into small, ‘off the beaten track’ ports that large lines are unable to reach. Upscale yet unpretentious, Silversea is the cruise line of choice for travellers who appreciate five star service with a smile. Its all-inclusive drinks and gratuities policy is designed to make the entire experience as relaxing as possible while its fleet of four ships are spacious yet intimate. On-board lecturers enhance the cruise experience with regular talks on the culture and traditions of destinations. While entertainment venues are not as diverse as those found on bigger ships, they are lively, tasteful and interactive. Calling at ports across the Caribbean and Mediterranean, Star Clippers is a sun seeker’s dream. The fleet of tall ships offers passengers a truly unique seafaring experience with an adventurous twist. Accommodation is compact yet comfortable, with the largest of the line’s three ships carrying a maximum of 227 passengers. Informal navigation classes, water sports activities and plenty of guest camaraderie make Star Clippers a fantastic boutique choice for travellers looking for both excitement and relaxation. Uniworld’s 15 ship fleet may be small in size, but it certainly doesn’t compromise on style. Suites on the 164 passenger S.S. Antoinette boast marble bathrooms, Savoir brand beds, flat screen TVs and alcove balconies for the ultimate in river cruising extravagance. The all-inclusive fares cover drinks and gratuities while on-board dining options are aptly gourmet. When the sun goes down, local port-of-call based acts replace the Broadway style productions of larger ships for unique evening entertainment. If you’re itching to secure a place with one of these luxurious lines, Cruise 1st offer fantastic package deals from all the leading boutique cruise companies. From the ultra-indulgent feel of a Silversea suite to the adventure and excitement of a Star Clippers voyage, the friendly team of experts will help you choose the perfect boutique cruise holiday! Call us today on 1300-857-345 for more information. Images sourced via Azamara Cruise Club Media Center. 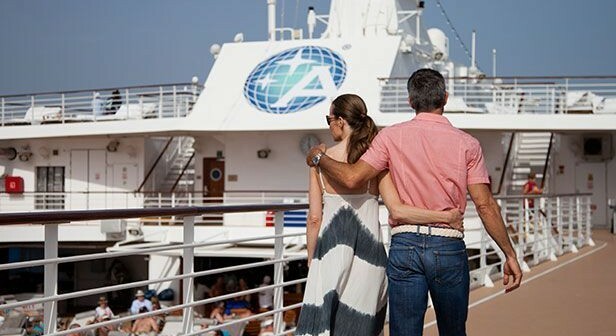 Credit: Azamara Cruises.